You may think that a single missing tooth isn’t something to be seriously concerned about, but these losses can have a domino effect regarding your oral health. In order to preserve your strong and confident smile for many more years to come, you need a quality reconstructive solution, and dental implants are at the very top of the list here in Concord, NH. Our dedicated team of doctors has the skills and training needed to personally handle every step of the implant procedure right here in-house, saving you valuable time while keeping you fully comfortable. Contact Generations Dental Care today if you’d like to schedule an initial consultation, or if you have any questions for our staff. 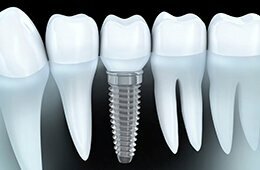 A dental implant is composed of two equally important parts. The implant itself (also known as a “post”) is surgically placed below the gum line, and the lifelike restoration is attached on top after the post has healed. While many general dental practices have to refer their patients to outside specialists for the surgical portion of their implant care, we’ve brought the specialist to you here in Concord. Our in-house periodontist Dr. Jonell Hopeck will personally handle this important procedure so that you can stay in one, comfortable environment with a team you know and trust. After the new implant is securely in place, the healing process will likely take months. This is necessary because your natural bone and gum tissue needs time to fuse with the new implant, creating a sturdy foundation that will serve your smile well. Once your mouth has fully healed from the initial implant placement, it’ll be time to return to Generations Dental Care so that our team can design the ideal restorative solution that will sit on top. 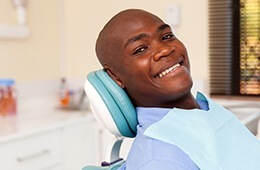 In cases of individual implants, metal-free crowns are highly recommended, as they can restore single teeth without requiring the alteration of nearby healthy teeth. 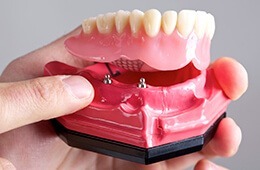 Alternatively, if you have several teeth and/or implants in need of restoration, an implant-retained bridge or denture can work wonders in providing a lifelike and cost-effective restoration. These devices can be fixed permanently in place or designed to still be removable in nature – the patient’s personal preferences and current level of oral health will determine this decision. Dental implants are the only tooth replacement option that actually replicates your tooth root in addition to the natural crown. This new root will preserve the health of your jawbone and prevent deterioration over time, which is great news for both your oral health and overall wellbeing. Dental implants can be treated just like natural teeth – no inconvenient changes to your diet or oral hygiene routine required. Implants may be an investment of time and money, but virtually all patients will agree that they’re more than worth it in the end. As long as they’re maintained properly, your new teeth can function properly for 20 years, 30 years, or even the rest of your life.